A Pigmy Deposit A/c may be opened by any person, individual, company. Our representative will come to your doorsteps. Our representative will collect the pre-fixed amount. Our representative will give you printed receipt for the amount on the spot. Our representative will give you services at your doorstep like loan repayment before maturity payment, etc. as per our terms & conditions. Pigmy deposit can be a very small amount e.g. 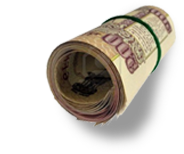 Rs 10/- per day, this makes you to save as per your capacity from your daily income. It helps to improve your monetary stake.